The following "Tip of the Day" is provided to assist you with horse and farm management. It is an idea developed by and/or used by Leslie Raulin. This tip is available to you at your own risk. Leslie Raulin does not make any claims or warranties nor does she have any financial interest in any products that may be mentioned. Today's smartphones are indispensable. They are particularly indispensable for riders that face an emergency for which contacting 911 or other assistance is needed. Except for shows and perhaps clinics, I think all riders should carry their phone on their bodies (not on the horse, who could run off with the phone!). 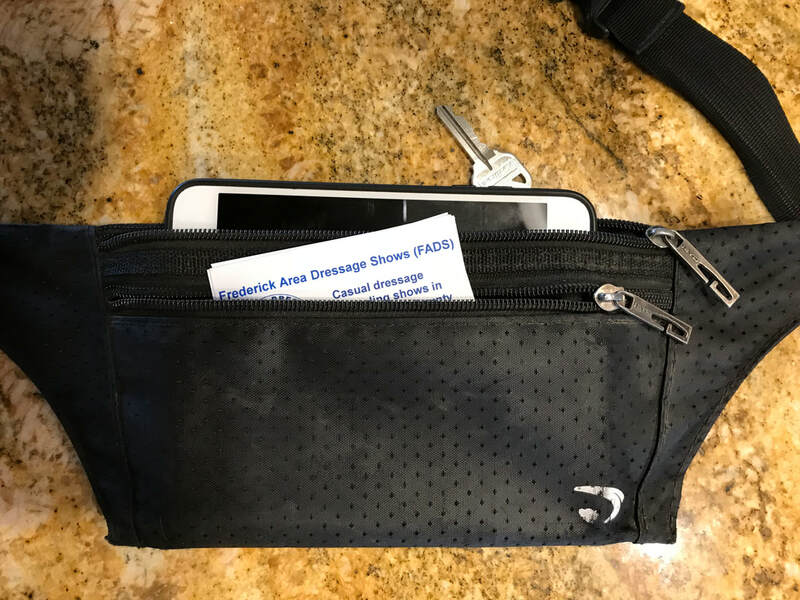 Through experimentation with many products, I have settled on a slim fanny pack with space for a phone, identification documents, and keys. It is an Amazon Prime product with 4.2 out of 5 stars (36 reviewers). The fanny pack has three pockets. I use them for my (1) "personal" card, (2) phone (Apple iPhone 6Plus), and (3) keys. I have been using this style of fanny pack for about three years. I have a dirty one for riding and a clean one for non-horse activities. A zipper will wear out in about a year (depends on use) but since the fanny pack is inexpensive, I order two or three at a time. Enjoy!